Ready to dive in and do some Quick Recording? Welcome back to Genos Power Playing! 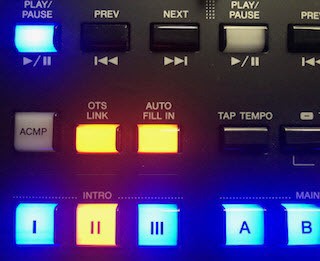 This is the first of a two-part series on MIDI recording — a powerful feature that allows you to quickly capture musical ideas as well as do complex multi-track recordings. 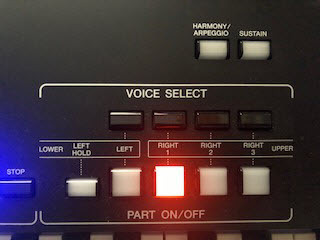 Before we get started, it’s important to understand the difference between the two MIDI recording modes offered by Genos. 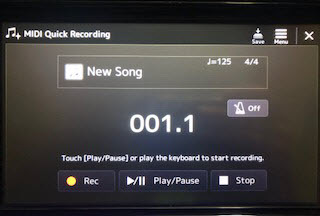 The first is called Quick Recording. This is great for capturing anything from one instrument (such as a piano) to creating a full-blown arrangement with up to 16 tracks playing back simultaneously. Whenever inspiration strikes, Quick Recording has got you covered. 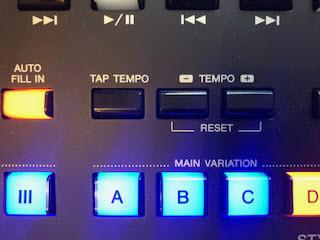 The second mode is called Multi Recording — great for anyone who wants to build a song track by track. For example, let’s say you want to lay down a piano first, then add drums, then some bass, etc. We’ll be talking about this mode in Part 2 of this series. Right now, let’s jump in and do some Quick Recording. For this first exercise, I’m going to recreate a real-world situation I find myself in more often than not, where I just want to sit down, play the piano and record an idea. The first thing we’re going to do is to make sure that your Genos is set up to just play a single instrument — in this case, piano … but not just any piano! 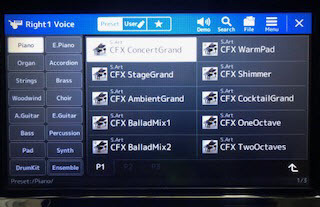 Instead, let’s go for the glorious CFX Concert Grand. 7. 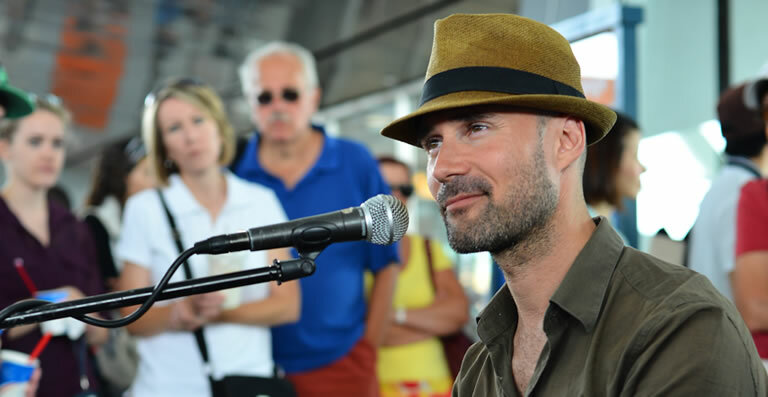 Now Genos is ready to start recording when you are — metronome or not. 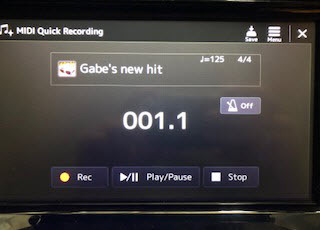 You don’t even have to hit any other button; as soon as you start playing, Genos will start recording. 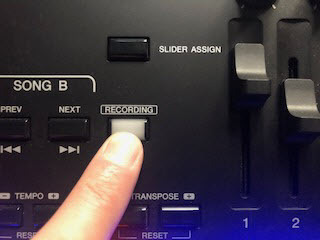 Go ahead and record something — it doesn’t matter how long — and when you’re finished, press the Stop icon on the screen. 8. Now you can press the Play/Pause icon to listen back. Sound good? I hope so. 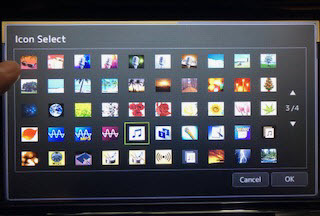 After you’ve named your song, press OK (you may have to press it twice if you’re in the Icon Select screen) and voila, your new masterpiece is named and saved. 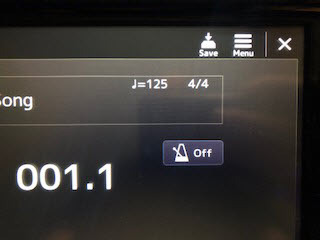 At this point, you can confidently power down your Genos and not worry about whether or not your song has been saved. By selecting Continue, you’ll basically go back to the beginning: It’s as if you’d just pressed the RECORDING button for the first time. 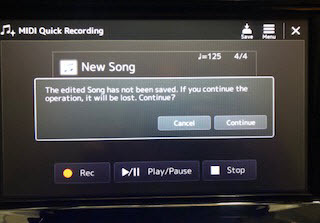 On the other hand, if you touch Cancel, you’ll have the opportunity to Save and Name your song as just described. Note that this exercise was just focused on recording a single part — in this case, piano — but you can also capture splits, layers and even full Style playing in Quick Recording mode by following the same recording steps. All photographs courtesy of the author. 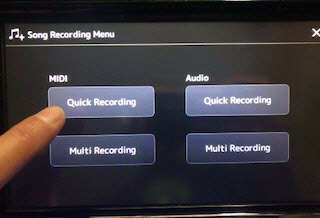 Click here for Part 2, in which we discuss Multi Recording mode.